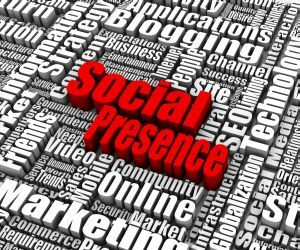 Social Media can be overwhelming, but having a social presence is a necessity. Photographers have an advantage because they have images of their own that they can easily share with the world online. This post is not going to cover all the ins and outs of what if someone steals your images. The core purpose is to get your wheels spinning to make sure you have a presence on more than one social media platform. 1) Blogging - If you are reading this, you are experiencing blogging first hand. Blogging is a form of social media. With the social plugins attached to each post, it makes it easy for the blog author to push out his or her post on social platforms and more importantly for blog readers to share the post on social media. 2) Facebook - Although Facebook continues to change, it is still one of the top social platforms. Having an individual account allows you to build relationships online that can lead to good friendships and/or business connections offline. Facebook business pages are considered a waste of time by many today, but if you are on Facebook, you should have a business page for your business. The sad part is that your post on the business page may only reach a maximum of 10% of your total audience if you are lucky. So having 500 LIKES (Followers) on your Facebook page, may yield a maximum of 50 people being reached by your post. Even with all its quirks, Facebook is still a powerful social media resource. Who knows how much longer that will last? 3) Google Plus - One of the nicest things about Google Plus is communities. As a photographer, there are many photo related communities to get involved in. Google Plus can be a little challenging to grasp at first, but being able to do things like writing a paragraph or two, posting an image then being able to easily click in the upper right to grab the link of what you just wrote to share on other social platforms is nice. Likely the most important part of all is the tie in to a Google Local Listing which is important for your business ( MAPS ). 4) LinkedIn - Linkedin is a professional network that does allow social opportunities. You can connect with business people on Linkedin which is likely the first thing that comes to mind when you think about Linkedin other than it being an online professional resume of sorts. However, there are three other core areas of Linkedin that make it more social: 1) Groups - You should join groups and be active in the ones that you like best. 2) Share Updates - This is a nice quick feature to post your own updates or to post news from around the web. This post will be shared via Linkedin once it goes live. 3) Writing An Article - Instead of sharing a short update, you can choose the PEN on update section and write an actual article like this one. By no means are the 4 resources above necessarily the best 4 for photographers. However, if you are only going to focus on 3 or 4 platforms, you should seriously consider how the 4 above fit into your social presence. Whether you blog or not is up to you because it is a time consuming commitment, but Facebook, Google Plus and Linkedin are 3 solid social platforms to be a part of. Is Twitter Part Of Your Social Media Mix?